Measuring 100 JFET J201 Transistors. TOPIC: Measuring 100 JFET J201 Transistors. 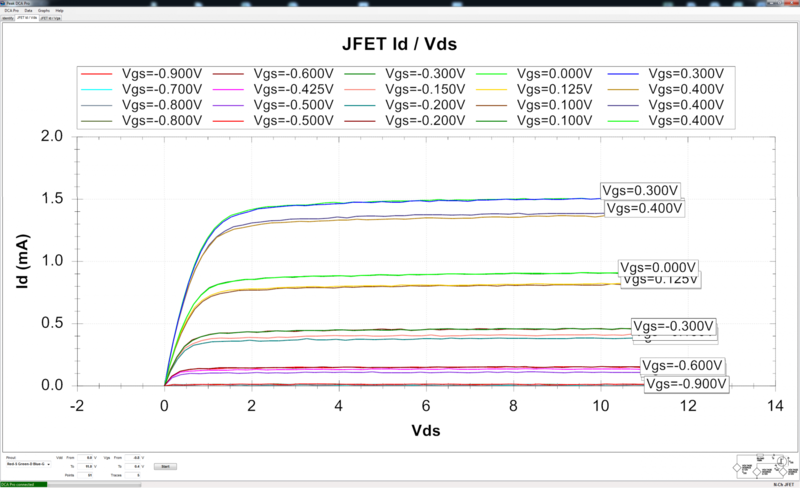 I have recorded the Vgs(off) and IDss of one hundred J201 JFET transistors taken from a reliable US source. This could help you if you want to design some J201 based circuit and want to have a clear idea f what is out there. 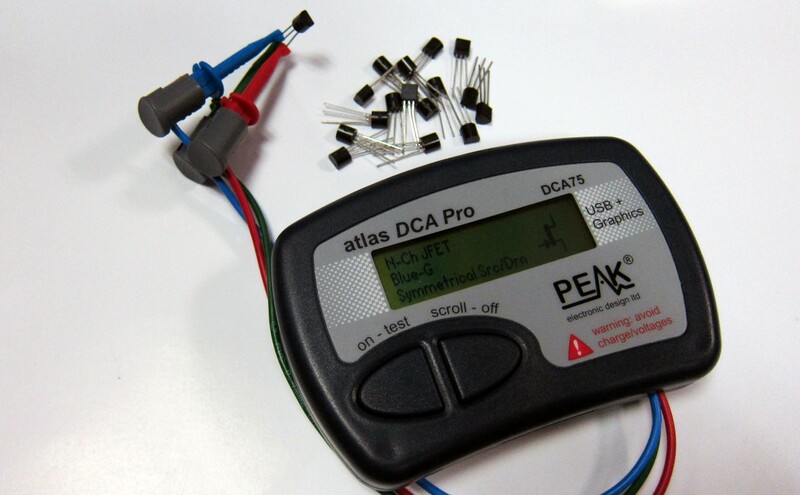 For the measurements I have used a Peak Atlas DCA Pro (model DCA75) which is one of the best dedicated transistor meter on the market. It would help to give a constant set of values. These are a set of screen shots you can take using the Peak DCA Pro software, they show the Id vs Vds and the Id vs Vgs plots. 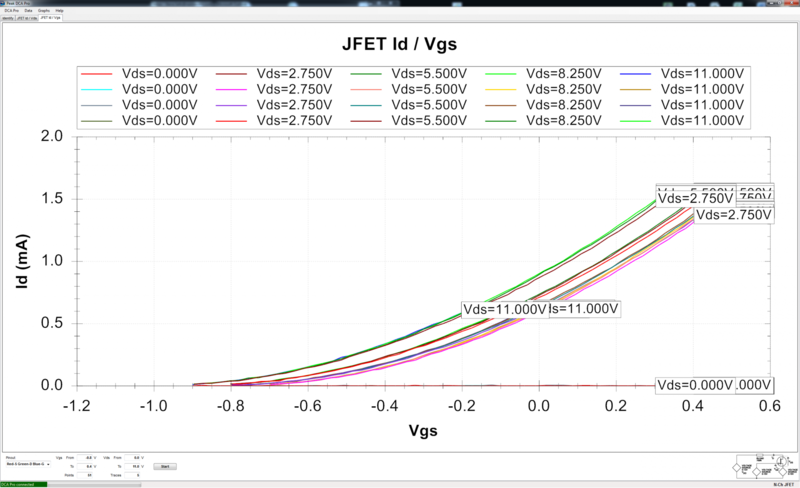 I did them overlaying the measurements of 4 different J201 JFET transistors, to prove that the graphs are pretty consistent. This values are very close to the ones measured by Run off Groove (Vgs(off)=-0.84V and Idss=0.64mA) in his great article A closer look at the Fetzer Valve. The components tested above are from Small Bear Electronics, a reliable US components supplier. I also ordered 5 transistors from Tayda Electronics, in internet forums   some folks were questioning this components, not being sure of getting fake parts or relabeled transistors. Last Edit: 3 years 6 months ago by Ray. What JFET do you recommend if we can't find J201? The J201 is quite unusual and it is still manufactured but in SMD model (not thuhole), some folks use a sot23 to thuhole adapter that works fine with some extra work. However, if you are using for a different model, maybe the closest jfet you can get is the 2N5457, 2N5458 or MPF102. I live in Brazil, and unfortunately the shipping cost is very high so I will try to find some substitutes. Yeah, I just found a bunch of 2N3819 in a local electronics store. I'll play with them and have some fun, hehe. Thank you very much Ray! This website is amazing, I learn a lot with it every day.